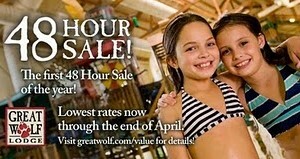 Through August 23, 2013, you can save 25% on your next Great Wolf Lodge Waterpark/Hotel Package. Prices start at $129.99 and you can book through November 21, 2013. Thanks Kansas City Mamas!